In this section our activity is based on obtaining information of a commercial nature for strictly confidential use and commercial purposes. 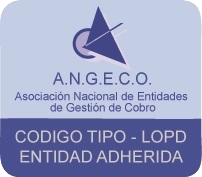 This commercial information serves as support to the Risk departments as well as to the legal departments of the entities in order to have an assessment of the assets and solvency situation of a client debtor in order to proceed in his case to the filing of a procedure judicial of claim of quantity or on the contrary to adopt the precautionary measures that are mandatory. Our commercial reports tend to provide information on those assets subject to seizure whose ownership is in the name of the customer debtor. The cost of these reports is valued individually. Our experience indicates that in a very high percentage of occasions, the main problem that arises is the physical location of the debtor or the representative of a debtor company. In order to establish the last friendly management in your case. In order to know the address in order to be able to request it in the case of a judicial proceeding. In this aspect of localization TRADINFORME S.L can guarantee a high degree of effectiveness. The cost of such location reports is assessed individually. We confirm to the greatest extent the data indicated by the petitioner in said request. This validation can be done on all the data provided or desired by our client. As an example, these can be the name and surnames, address, N.I.F., current account and its operation, as well as the labor data. When observing any difference in the information provided by the petitioner, being the same, but with some other data, even if partially, it will be warned in said validation, so that our client decides to subject it to an exhaustive analysis of his risk, accepting or denying his request , controlling in this way and in advance the technical unpaid, return of correspondence, spoofing, delinquency, fraud, etc.